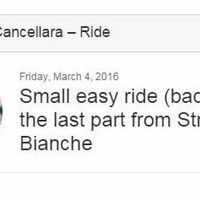 Fabian Cancellara is a Swiss-born professional cyclist and time trial specialist. He is known as “Spartacus” on the peloton due to his indomitable nature. 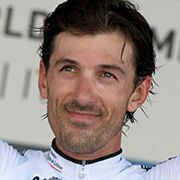 Born in Wohlen bei Bern in March 1981, Cancellara concentrated on cycling from the age of 12 and soon came to dominate the junior Swiss competition circuit. He went on to win the junior World Time Trial Championship two years in a row, from 1998-1999. Cancellara’s professional career began on joining the Mapei-Quick Step in 2001 as part of their Young Riders project. He grabbed his first outright victory at the 2004 Tour of Qatar. His first victory at a classic came in 2006, winning the Paris–Roubaix. 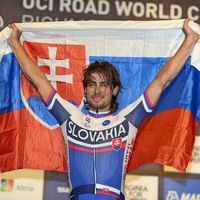 He also became the world champion time trialist at the 2006 UCI Road World Championships and successfully defended that title the following year. The 2008 Olympics were also extremely positive for the rider, winning silver in the road race and gold in the time trial. Cancellara went on to again win the time trial during the 2009 Road World Championships, equaling the then record. 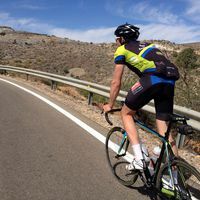 He surmounted this with his fourth victory at the event in 2010, becoming the first competitor to have won it four times, capping a year in which he had also won the Paris–Roubaix and the Tour of Flanders. 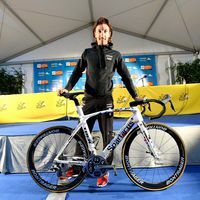 Cancellara’s move to Leopard Trek in 2011 marked the start of two difficult and injury prone years, though he did achieve the dubious title of rider to have worn the yellow jersey the most times during the Tour de France without an outright victory. 2013 has shown a strong return to form with Cancellara again achieving the Tour of Flandersand Paris–Roubaix double. 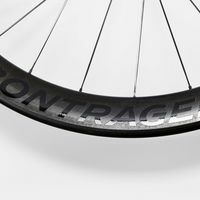 Breit, schnell und für Scheibenbremsen geeignet, Wir haben uns Bontragers Aeolus 5 TLR Disc D3 Laufradsatz angesehen. 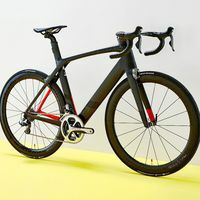 Der einstellbare IsoSpeed-Entkoppler des neuen Trek Domane SLR bringt laut Trek eine 14 prozentige Verbesserung des Komforts. 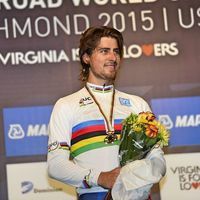 Peter Sagan entscheidet die Jubiläumsausgabe der Flandern-Rundfahrt nach einem beeindruckenden Solo-Ritt für sich und sichert sich den ersten Monument-Sieg seiner Karriere. 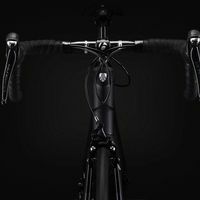 Eine spannende Radsport-Saison 2016 liegt vor uns. Wir sagen euch, was uns die Kristallkugel für das laufende Jahr verraten hat.